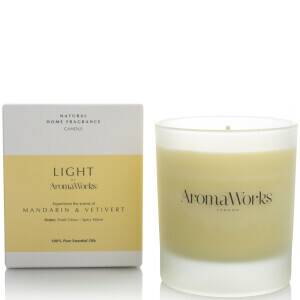 Experience the uplifting fragrance of the Mandarin and Vetivert Candle from the 'Light Range' by AromaWorks. 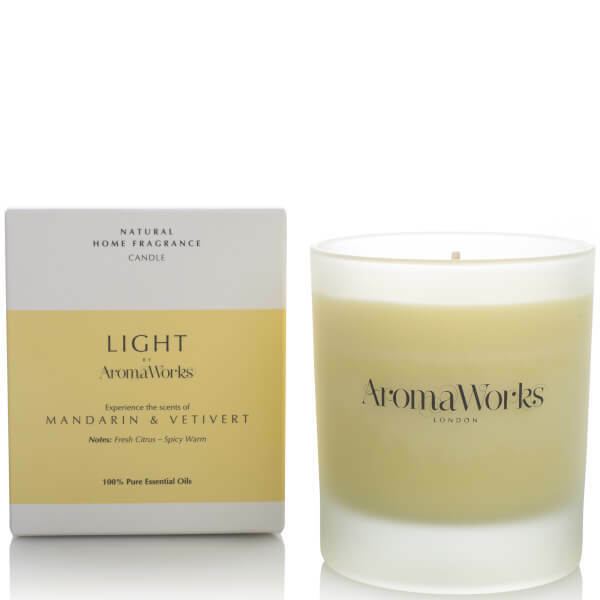 Crafted from natural, clean-burning Soy Wax and blended with pure essential oils, the single wick candle releases notes of fresh, juicy Mandarin and earthy Vetivert to create a rejuvenating atmosphere in any room. Housed in a minimalistic glass jar with a branded gift box.